We love kraft because of the natural feeling. 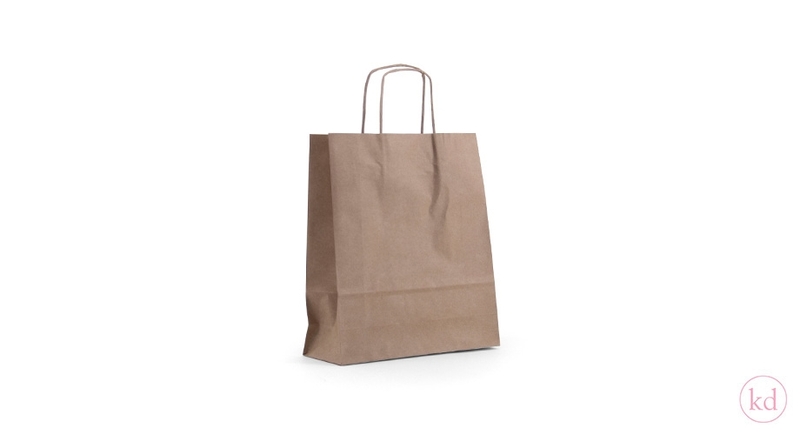 These bags are really easy to customize with for example a printed cotton ribbon hanging on the handle, huge stamp with your logo (DIY :)), sticker to glue on, printed label to hang on the handle or customized tissue paper. 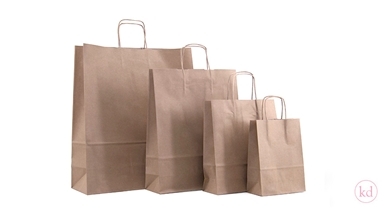 We have these bags in four different sizes for you.